Dustin Lynch brought his high energy live show to Toby Keith’s I Love This Bar & Grill in Foxborough, MA on Sunday night. The “Cowboys & Angels” singer worked his way through a twenty song set complete with covers, hits, and deep cuts off his most recent release Where It’s At. Dressed in a Bruins shirt and his signature cowboy hat Lynch gave the sold out crowd of over a thousand one hell of a night. 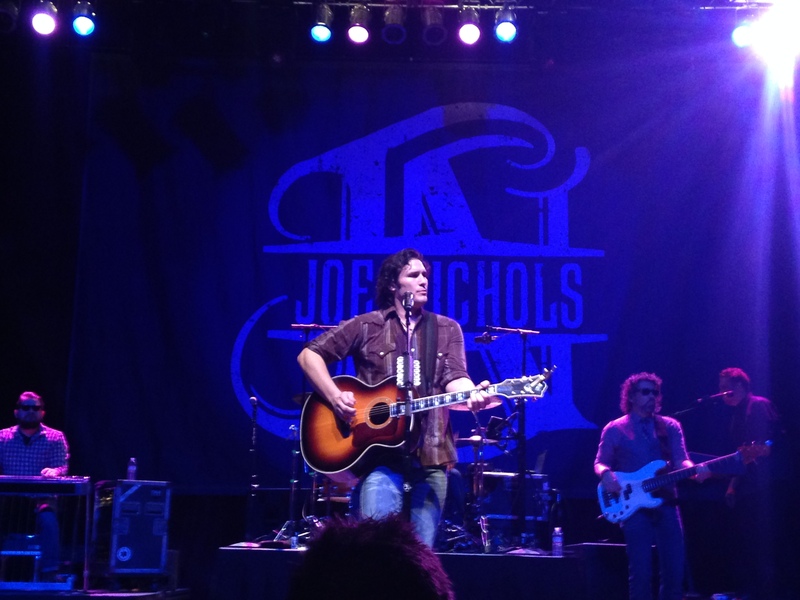 It’s been a while since Joe Nichols headlined his own tour. After the success of his most recent release Crickets, which has produced back to back number one hits, Nichols decided it was time to give his fans a headlining show. With a setlist ranging from “Brokenheartsville” and “The Shape I’m In” to covers of Aloe Blacc’s “The Man,” Nichols showed a sold out House of Blues crowd that he’s more than just a traditional country singer.